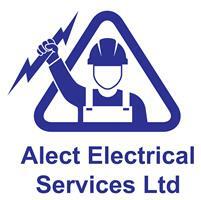 Alect Electrical Services Ltd - Electrician based in Long Eaton, Nottinghamshire. Alect Electrical Services Ltd are a family run business that has grown year in year out and have a reputation that is second to none with many satisfied clients. The customer service we provide is superb along with the quality of workmanship from all of our fully Qualified and insured electricians. We have over 20 years of experience in the electrical industry and feel any client should feel most comfortable working with us. We aim to provide savings by passing our savings and discounts from our many wholesalers on to you our valued customer. Some of the services we provide are listed below. Every client is as important to Alect regardless of the task at hand so call us for you free advice and estimate.